11/12/2016 Saturday - Jordan's special guest in the first hour was Paul Tice of http://thebooktree.com. In hour two, Jordan shares his research on the hidden history of world religions, their use by governments to control populations and the origin of the myth of Moses. 08/27/2016 Saturday - Jordan's guest in the first hour was Paul Tice Recounting His, Ivey West and Jordan Maxwell's Close encounter at area 51 http://thebooktree.com/ In the second hour Jordan's guest was Kurtis Kellenbach, Who studies language and how it's used to used to enslave you under Vatican law. 08/20/2016 Saturday - Jordan's guest in the first hour was aerospace technology researcher Michael Schratt. In the second hour Jordan's guest is longtime friend Nancy who tells her extraterrestial experience and her father's military exposure to the subject. 08/13/2016 Saturday - Hour One: Jordan's special guest was researcher Jay Weidner, called by Wired Magazine an "authority on the hermetic and alchemical traditions," Jay Weidner is a renowned filmmaker, author and scholar. Considered to be a "modern-day Indiana Jones" for his ongoing worldwide quests to find clues to mankind's spiritual destiny via ancient societies and artifacts, his body of work offers great insight into the circumstances that have led to the current global crisis. He is the director of the critically acclaimed feature documentary, Infinity: The Ultimate Trip, Journey Beyond Death, writer/director of the documentary series on the work of Stanley Kubrick, Kubrick's Odyssey and Beyond the Infinite, producer of the documentary films, 2012 The Odyssey, and its sequel Timewave 2013. 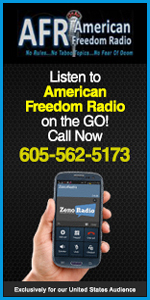 08/06/2016 Saturday - Jordan Maxwell makes his return to American Freedom Radio. Jordan's Guest in the first hour was Paul Tice of The Book Tree. http://thebooktree.com/ In the second Hour Jordan's guest was Jeffrey Matte from Montreal, Canada. 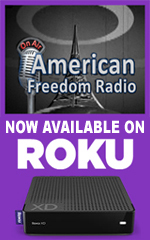 01/23/2016 Saturday - American Freedom Radio Proudly Presents "The Jordan Maxwell Show" A Show Like No Other, Bringing You Information You've Never Heard Before. Jordan's Special Guest Was Joe, Who Covered For Jordan Who Was Mysteriously Knocked Off The Air About 16 Minutes Into The Show. Jordan Was In The Middle Of Explaining What The Psychopaths Who Run The World Do To Whistleblowers. Jordan's Real Website Is https://jordanmaxwellshow.com/ Never Use jordanmaxwell.com Which Is Not Jordans Website.